South Korea’s top nuclear envoy on Friday struck an upbeat note on dialogue with North Korea, citing a “good mood” in recent working-level talks held in Sweden. “Various formats of consultations are proceeding well,” Lee Do-hoon, special representative for Korean Peninsula and security affairs, said upon arriving at Incheon International Airport from Europe. He joined dayslong negotiations between North Korea’s Vice Foreign Minister Choe Son-hui and U.S. Special Representative Stephen Biegun on the outskirts of Stockholm. 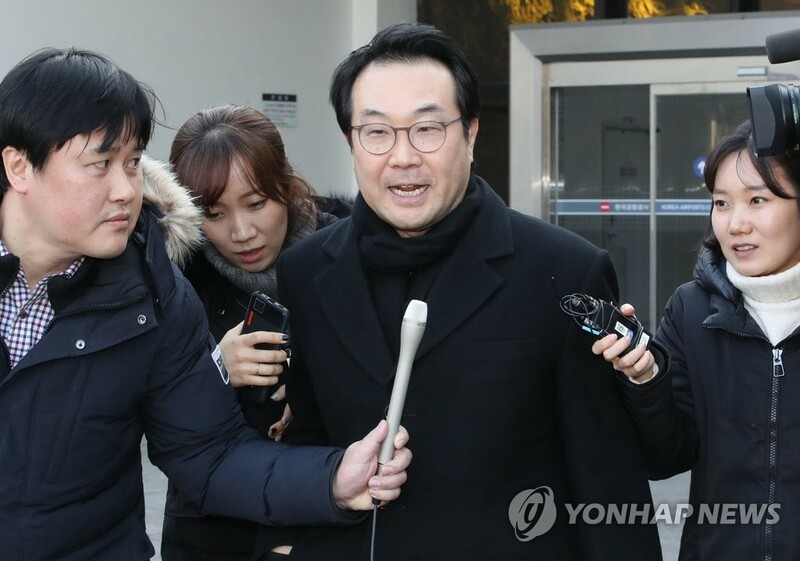 He refused to clarify whether he had a separate meeting with Choe during his stay at the mountain venue from Saturday through Monday. He said he has no information on when the schedule for a second Pyongyang-Washington summit will be announced. Following a trip to Sweden, Lee traveled to Davos, Switzerland, where Foreign Minister Kang Kyung-wha is on a trip to attend the World Economic Forum.